4 Less Termite, Inc. has over 35 years of experience in the construction industry, offering a complete suite of in-house construction services for nearly any size job. With a background in the construction industry and more than 17 years extensive training and experience in the pest control industry we can identify, treat and complete the repairs caused by wood destroying organisms to increase the longevity of your structure. 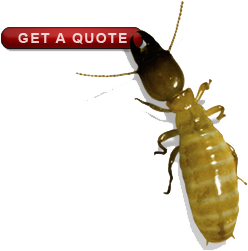 Unlike many other termite inspection companies, the owner of 4 Less Termite, Inc. has extensive experience and knowledge in the construction industry and applies that knowledge through the eyes of a licensed pest control operator. We offer expertise using a creative and common-sense approach, with a goal of implementing affordable solutions to meet the individual short-and long-term goals of our clients. We are often asked whether a licensed contractor should do repairs identified in a termite inspection report. When it comes to repairing structural damage caused by wood destroying organisms, the California Structural Control Board holds licensed pest control operators to higher standard than the Contractors State License Board holds general contractors. Licensed pest control operators are held responsible for not only the repair of the structural damage, but also mitigating the cause of the infestation where cause has been identified. While many contractors and handy-men are capable of topically or aesthetically addressing infestations and making it appear as if the issues has been resolved, there is no regulatory agency or governing body requiring these tradesmen to completely remove any and all infested wood and properly address the source or continuing factors of the infestation. It is our experience that residential and commercial property owners want repairs done correctly so they do not have to continue investing money by band-aiding the problem. Unfortunately, repairing damage caused by wood destroying organisms and preventing future infestations is not as simple as it may seem. If the infested wood is not completely removed when the repairs are made or if the conditions that made the structure susceptible to the infestation are not fully addressed, then these infestations will continue to spread or will re-appear. Accordingly, we strongly encourage our clients to ask the tough questions and remain engaged throughout the repair process to ensure the repairs are done correctly and the conditions that invited the infestation are adequately addressed. It is critical for Realtors to require repairs be done correctly in order to protect their clients. As a condition of lending, many financial institutions require Section 1 repairs identified in a termite report be addressed, including certification from a licensed pest control operator that the repairs were done correctly. The only way a licensed pest control operator can ensure repairs are done correctly is to first confirm the infested wood was removed completely, then ensure the structural integrity of the repair is adequate and lastly to confirm the issues that made the environment conducive to the infestation is addressed. If a licensed pest control operator is asked to certify repairs without confirming all infested wood was removed before the repairs were completed, it is unlikely that any knowledgeable pest control operator would certify the repairs. Services include, but are not limited to removal, repair and replacement of damage resulting from infestations and moisture damage in and around bathroom vanities, baseboard, kitchen cabinets, interior door and door jambs, thresholds, windowsills vinyl flooring, tubs and showers, washer/dryer spaces, hot water heater platforms, rafter tails, siding, roof sheathing and gutters, window, door and decorative trim, door flashing, subflooring, support beams, door jambs, exterior doors, fencing and gates, faulty grades, retaining walls, concrete and foundations, walkways and driveways. Want to make sure the scope of repairs proposed is going to address the problems that have been identified? We are happy to offer competitive bids on all types repairs. For more information, please contact Customer Service at 831-465-1699.